R&P supports its customers’ missions through the following prime contract vehicles while supporting numerous prime contractors in their pursuit of mission success. Our highest priorities are mission focus and contract compliance.  R&P Technologies will strive to be the very best at what we do and consistently meet or exceed our customer’s expectations for product and service quality, reliability and performance through continuous process improvements. R&P operates under the umbrella of our NAVSEA-approved, ISO 9001:2015 compliant Quality Management System (QMS), which identifies quality procedures and processes to provide high quality service and products. Our quality assurance approach is tailored for each Task Order to ensure products and services meet or exceed the Task Order requirements. Our primary objectives in executing an effective Quality Control Plan (QCP) is continuous process improvement, accurate and timely deliverables, proactive solutions and exceeding customer expectations. Our QMS-based quality control processes facilitate task execution, quality control, and monitoring progress. Under the guidance of our Leadership Team and Quality Assurance Manager (QAM), R&P’s Managers and Staff are responsible for technical quality, schedule and timeliness, problem resolution and customer communications. R&P’s quality assurance and quality control processes include assignment of skilled staff, management of resources, close and continuous monitoring of task performance, resolution of issues, and constant internal and customer feedback. Our management teams work closely with their Government customers to identify and track task assignments and required deliverables. They work closely with their support staff to continually monitor performance quality through direct observation, deliverable item review, customer surveys and 100% inspection for major tasks associated with satisfying a statutory, safety, or critical program milestone requirement. Our QMS-based review process identifies and corrects any defects in service or delivery prior to final submission of any documents to the Government. R&P provides quality assurance training to our employees and we implement quality control systems to assist all personnel in achieving the required standards. While delivering high quality products and services is essential to customer satisfaction, the ability to identify and resolve problems, respond to customer requests and concerns promptly, and communicate effectively with our customers is equally important. R&P endeavors to provide services we can be proud of, but we recognize that we don’t always achieve our own standards. When a customer is not satisfied with our performance, R&P is committed to investigating the complaint and promptly correcting all justified complaints.